Whitney Gardner is an author, illustrator, and coffee addict. Originally from New York, she studied design and worked as an art teacher and school librarian before moving to Victoria, British Columbia, where she lives by the Salish Sea with her husband and two pugs. In the rare moment Whitney isn’t writing or drawing, she’s likely to be reading comics, knitting, or roasting coffee. Her books include the YA novels You’re Welcome, Universe; Chaotic Good; and the middle grade graphic novel Fake Blood. "Whitney Gardner puts an unexpected twist on the classic dilemma of how to be yourself. 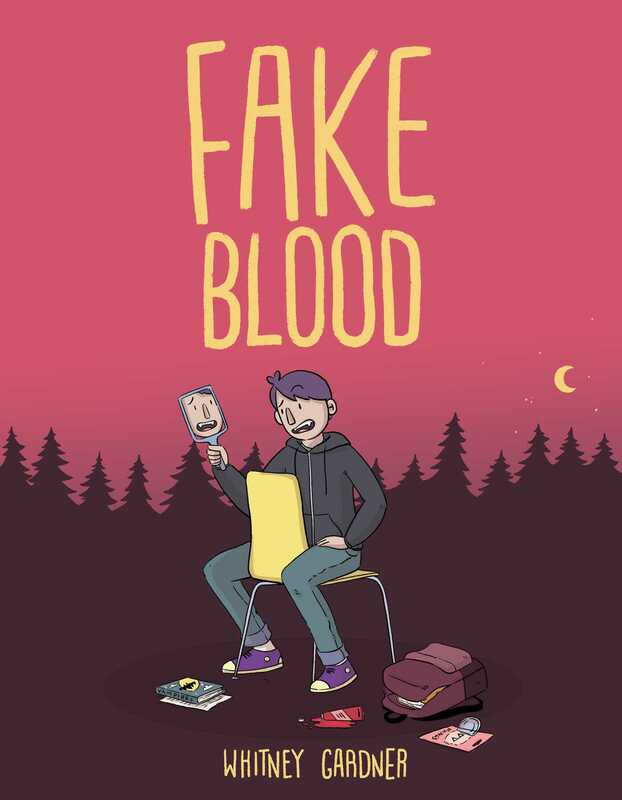 Full of cleverness, charm, and—most importantly—vampires, FAKE BLOOD gives readers a fresh new voice and a taste of something truly special." "Gardner’s tale, which includes a share of lighthearted pokes at the Twilight series, is a fun romp through sixth grade." "The dialogue and pop culture references in this graphic novel are LOL funny." “Gardner’s artwork is whimsical and charming, and the cartoonish faces perfectly capture the extreme moods inherent in this age. Warm colours and dynamic shifts in visual perspective give Fake Blood an autumnal coziness that pulls the reader into each scene.